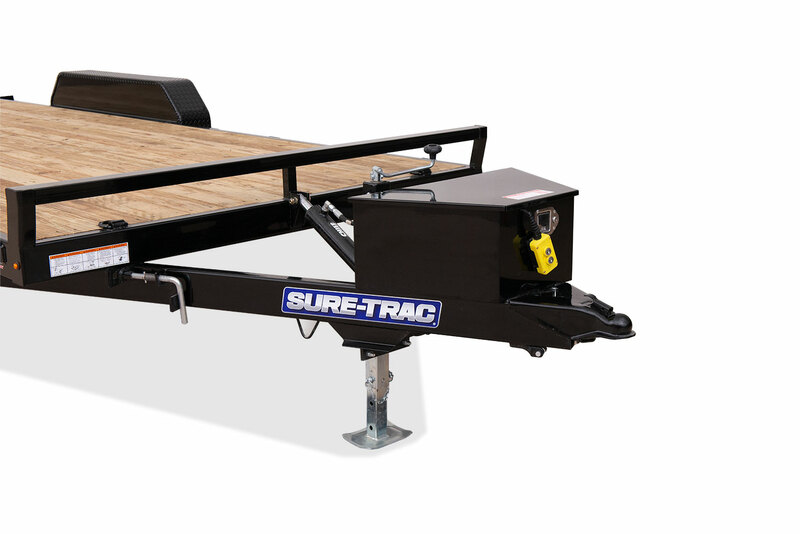 Available in manual or hydraulic tilt configurations, the Sure-Trac Tilt Bed Car Hauler makes loading and unloading your vehicle safe and easy. 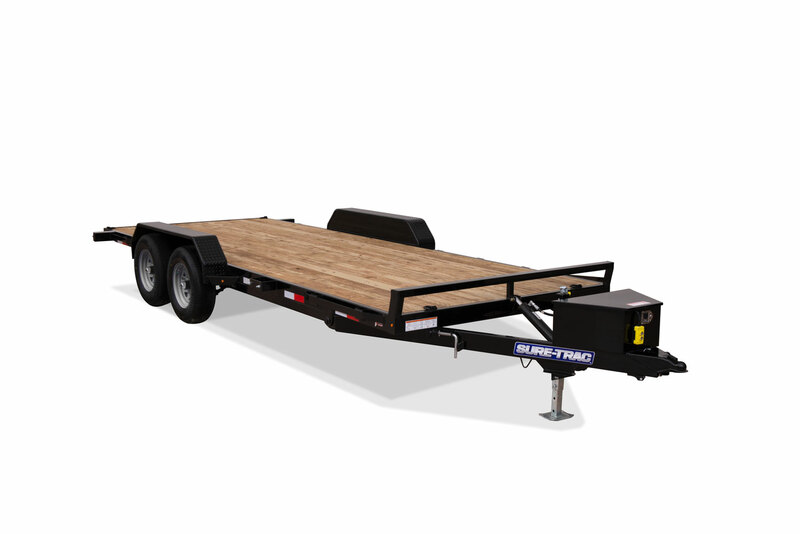 Featuring heavy-duty diamond plate fenders, removable driver’s side fender, HD bulkhead, sealed LED lights and radial tires, these units are built to provide you with the smart features and dependability you would expect from a Sure-Trac. 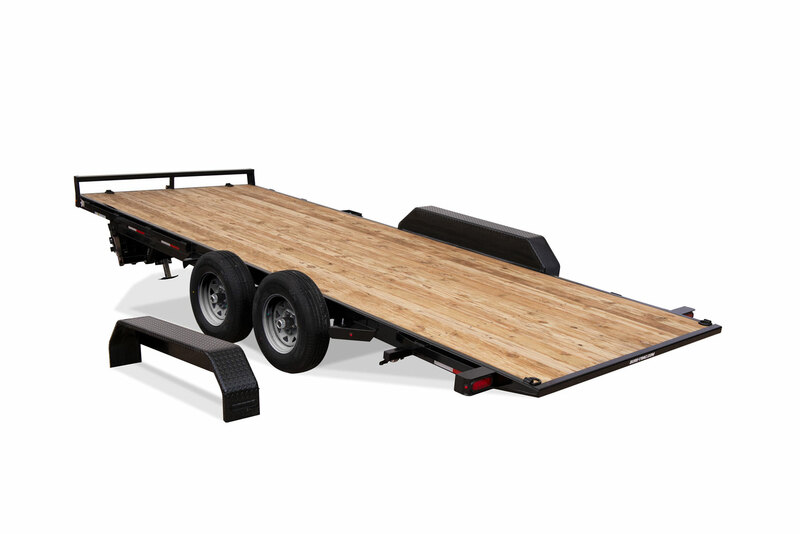 7' x 18' (Manual) 278"
7' x 20' (Manual) 302"
7' x 18' (Power) 278"
7' x 20' (Power) 302"
7' x 18' (Manual) 216"
7' x 20' (Manual) 240"
7' x 18' (Power) 216"
7' x 20' (Power) 240"
7' x 18' (Manual) 82"
7' x 20' (Manual) 82"
7' x 18' (Power) 82"
7' x 20' (Power) 82"
7' x 18' (Manual) 22.5"
7' x 20' (Manual) 22.5"
7' x 18' (Power) 22.5"
7' x 20' (Power) 22.5"
7' x 18' (Manual) 17"
7' x 20' (Manual) 17"
7' x 18' (Power) 17"
7' x 20' (Power) 17"
7' x 18' (Manual) 14 Deg. 7' x 20' (Manual) 12 Deg. 7' x 18' (Power) 14 Deg. 7' x 20' (Power) 12 Deg.